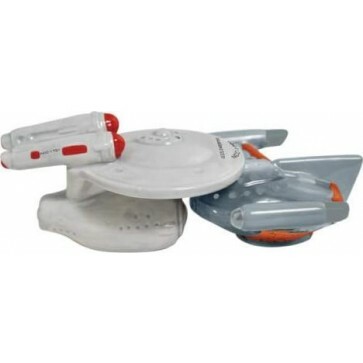 Star Trek Enterprise and Romulan Bird-Of-Prey salt & pepper shaker set stands 3" and have magnetic inserts which holds the two together. Made from ceramic. Not dishwasher safe.